Technically not a baking post, but still a yummy sweet treat all the same. Sorry to all those who are trying to lose weight, but I made these just before Christmas and I just love this easy peasy recipe, so I wanted to share. 1. 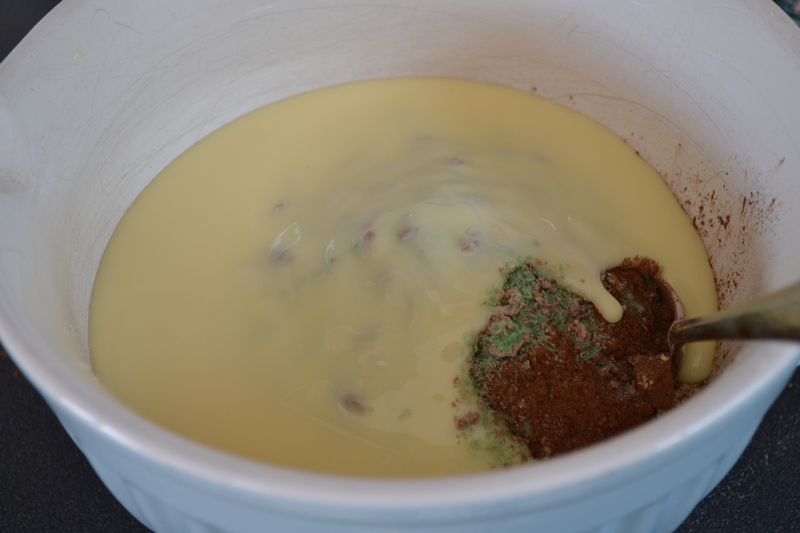 Put the Marie Biscuits and Peppermint Crisp bars into a food processor and process until very fine. 2. 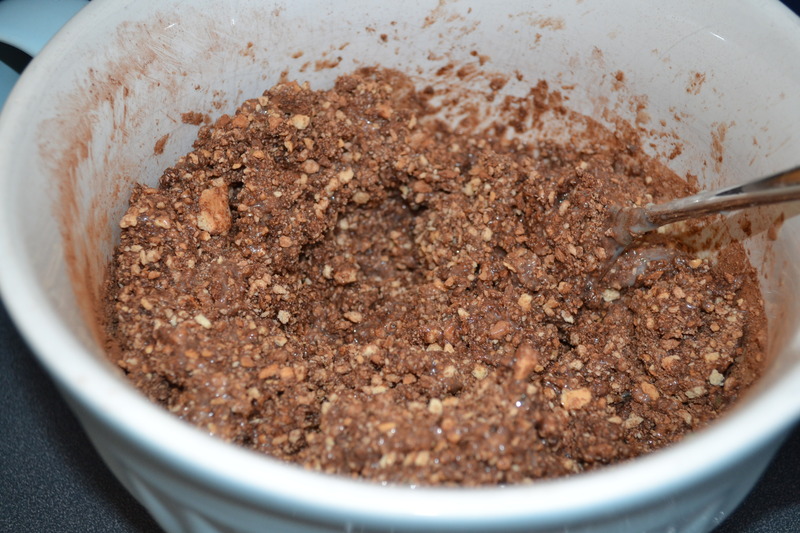 Mix all the ingredients into a large bowl. 3. 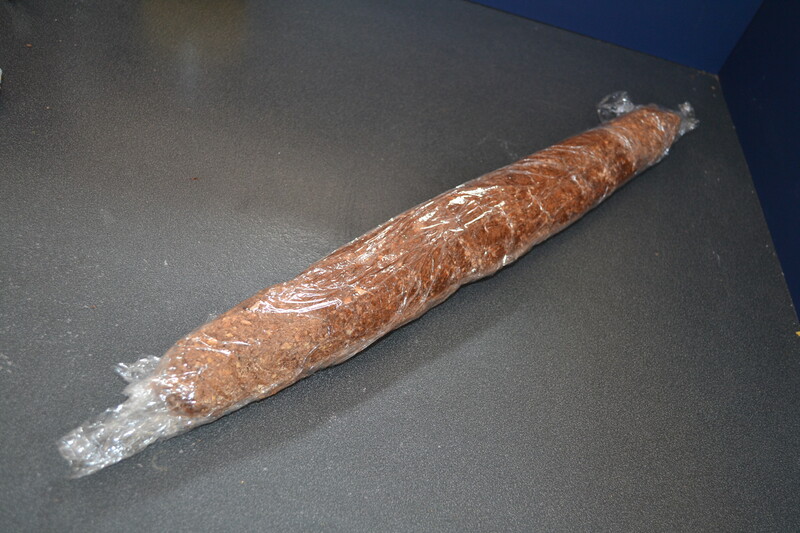 Place the mixture onto a large piece of Glad Wrap and roll into a long, thin log-shape. 4. 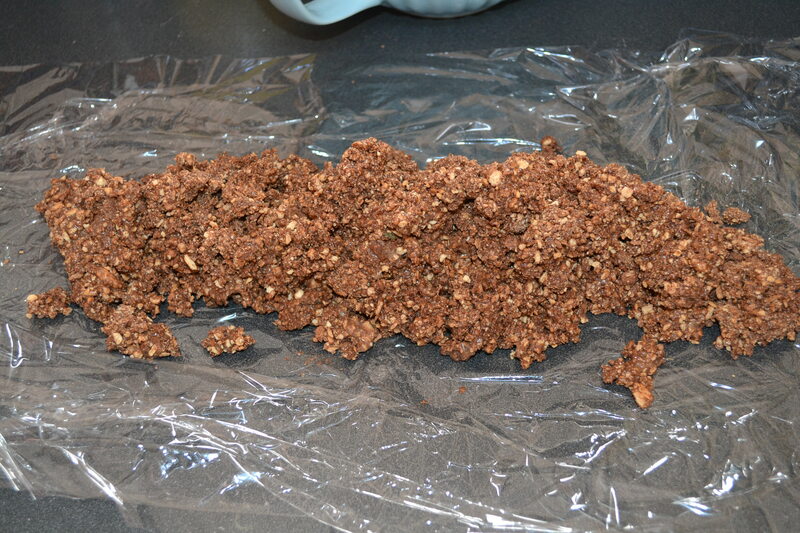 Refrigerate for at least 4 hours, or overnight, until the log is firm. As you can see, this slice is SO easy and SO yummy. I took it to a pre-Christmas picnic lately, and it was a real WINNER! 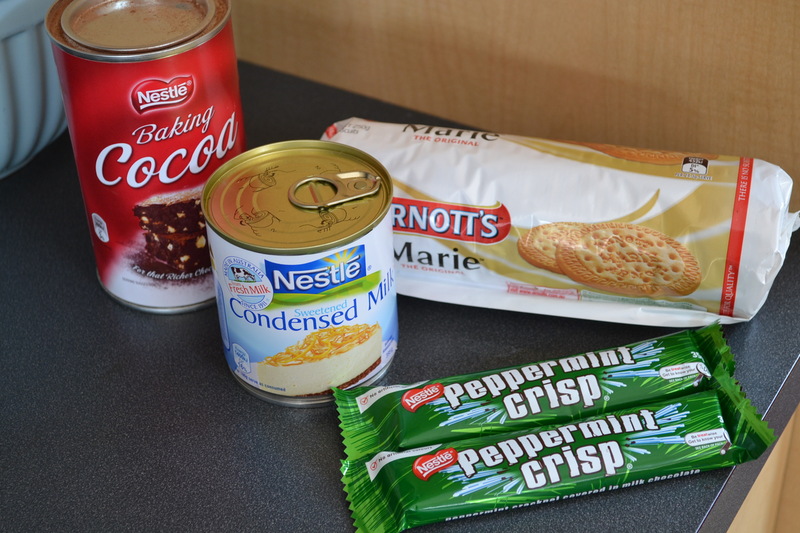 Have you got a classic Marie Biscuit/ Sweetened Condensed Milk recipe? Or just an EASY recipe you love to make? Yum love peppermint!!! I’ll have to put off making this one until I lose the 5kg I’ve put on the last month!!!!!!! This is our favourite sweetened condensed milk recipe – I promise these breakfast bars are addictive! Donkey Drops- my great aunt used to make these. Planning on blogging them one day! Yum!! I’d love some right now please!